I have been following the trends of Web 2.0 for a while and experiencing the changes in the way we use internet. I gave special attention to Web 2.0 when I found one of the main features declaration for newly released Java SE 6 is the support for Web 2.0. Earlier internet was a platform for 2 parties to push/pull information and do transaction. The 2 parties were more or less divisible by their functionalities like information/product supplier and user/consumer. Now its not only or no more that, its about participation of all the parties involved. Anyone can be in the recieving end and anyone can be in the supplying end as well. The more participation is there, the more valuable the service is. Its no more focused on attracting the giant companies or investors, the focus is now distributed to the individual netizens (citizens of the internet). The best article describing Web 2.0 is written by Tim O’Reilly. Google is in the lead of Web 2.0 initiatives instead of Microsoft, and you are not surprised!? Not co-incidentally, Google has been recently voted in a massive survey by Fortune as the best company to work for in USA. Here is a screenshot of my Google IG that comes up everytime I open my Web 2.0 aware browser Flock. IG is a good example of a Web 2.0 application although its not the best. My homeland Bangladesh’s PageFlakes (with joint venture from Germany) has been awarded by seomoz.org as the best Personalized start pages of Web 2.0 applications in March 2006 followed by Google IG and Windows Live. I feel the ground work was done long time back when people started appreciating open source models, projects. The dot.com bubble of late 90s couldn’t reduce the importance of internet in cybercitizen’s life. The web matured from a container of products to a provider of scalable services. Web 2.0 hints at an improved form of the World Wide Web, with technologies such as weblogs, social bookmarking, wikis, podcasts, RSS feeds and other forms of many-to-many publishing; social software, Web APIs, Web standards and online Web services representing a significant change in web’s use and behavior. As a Web 2.0 world’s cybercitizen, I use the following web services every now-and-then. While I am yet trying to grasp the effect and scale of Web 2.0, talk on Web 3.0 ius going on where its predicted that Wikepedia will be the ultimate leader! Good luck to readers on that. I have been blogging since August 2003 (already three and half years now) and only recently I started looking for the best blogging tools as my number of blogs increased from 1 to 3. Earlier I used to blog in Blog-City at http://ashik.blog-city.com as my online diary after checking a few other free blogging tools including Blogger. I used it for my personal events, my professional interests on IT and my passion for chess. But as I have become more aware of Web 2.0 aspects and the power of blogs, I decided to separate the target audience based on 3 major categories. I am continuing to blog my general and personal events in blog-city at http://ashik.blog-city.com. For my chess related entry I am now using Blogger at http://chess4you.blogspot.com. For Java, IT industry and technology trends I chose this wordpress blog at https://ashikuzzaman.wordpress.com. But during my recent exploration I found there are so many free and commercial blogging tools that its really difficult to choose one as a winner among the others. After my long searches my personla conclusion is that WordPress is the best, followed by Blogger and LiveJournal among the free blogging tools. 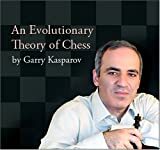 I finished my first Amazon Short today: An Evolutionary Theory of Chess by Garry Kasparov.I was amazed to see the idea of short electronic-article-like book while surfing Kasparov’s My Great Predecessors series in amazon.com in early December 2006. I came accross this $0.49 book (or should I call it e-article) and purcahsed it in advance as it was not published that time. Last weekend, I thaught to look for whether its already published and found yes – it was. I downloaded a PDF copy to my laptop at that time but today during lunch break I printed it and read. Kasparov talked about the past chess figures and evolution of chess through them as a beginner’s game to a master’s game in last 150 years and emerging into the computer age of chess as the last evolution in playing chess or chess styles. I liked this short book. I also liked Amazon’s PLOG where I can find a personalized blog-like advertisement entries on the new arrivals of products in Amazon. But Amazon Short itself seems the best idea i have encountered recently. In today’s busy life, this only 49 cents article like books will give us a lot of fine-grained information, entertainment and knowledge I believe. • Amazon Shorts are available exclusively at Amazon.com; you will not find them anywhere else. • Amazon Shorts are delivered electronically; there are no printed editions. • You are free to print Amazon Shorts to read in hard copy form at your convenience. While looking at a best free blog hosting ranking, I found WordPress to come in the top of the chart followed by Blogger. WordPress is so feature rich and completely free, that I decided to open my IT related thaughts in this blog. My regular online diary is at – http://ashik.blog-city.com and my chess blog is at chess4you.blogspot.com .